Poland has a long tradition of non-fiction writing referred to as reportage or, as it is also called, literary reportage. With investigative writing going global, its authors have been reaching some of the most distant parts of the world, with reportage perhaps the most often translated segment of Polish contemporary literature. According to a recent survey of the most often translated Polish non-fiction authors, compiled by Polish newspaper Press, the top of the list is occupied by Hanna Krall (70 translations), Mariusz Szczygieł comes in second (23) and Agata Tuszyńska is third (15). The list continues with the names of Jacek Pałkiewicz (14), Wojciech Tochman (14), Wojciech Jagielski (12), Jacek Hugo-Bader (9), Artur Domosławski (9), Wojciech Górecki (5) and Witold Szabłowski (4) . Here’s our list of the best Polish non-fiction books in English translation (plus one which is not yet translated but, we think, it should be). Indeed, Mariusz Szczygieł is a Polish journalist and writer, and one of the most recognized contemporary reporters in the countries. In the late 90s, while his colleagues reporters went to distant and exotic destinations, Szczygieł chose Poland's southern neighbour, the Czech Republic. Over the years, some of which Szczygieł spent in Prague, the slightly surreal and Kafkaesque Czech reality became a major theme of his writing. Szczygieł himself confessed that initially 'he wasn’t certain if anyone in the West would be interested in what a Pole has to say about the Czechs,' as 'a representative of one marginal nation writing about another marginal nation is unlikely to be a success'. But the book did turn out a great success and it well may the most successful Polish contemporary reportage from another country. Since 2006, when the book was first published in Poland, it has been translated into 14 languages, and the 15th (Romanian) is on its way. Gottland (2006) is full of incredible characters like the sculptor who made the world's biggest statue of Stalin, the famously reclusive niece of Franz Kafka, a singer whose songs were banned by the Communist regime for 20 years; and the legendary shoe producer Tomáš Bata, who created a fully controlled city 10 years before George Orwell. 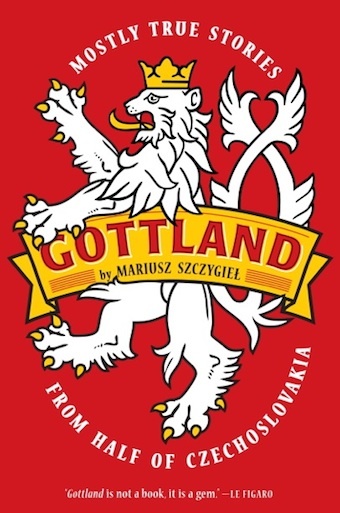 To put it simply, Gottland - and here’s the title explained - is about a country where the popular singer has become the winner of the Czech's Favourite Male Singer Award thirty-six times. In 2009, the French edition of the book (translated by Margot Carlier) was awarded the Europe Book Prize – Le prix du livre europeen. 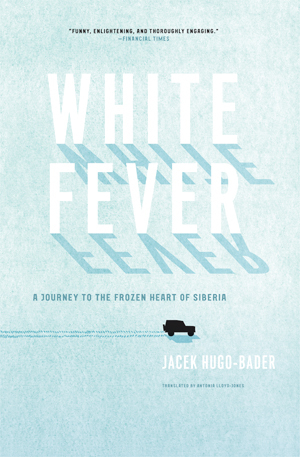 In White Fever: A Journey to the Frozen Heart of Siberia, Jacek Hugo-Bader recounts his thousand-mile long travel across Siberia, from Moscow to Vladivostok, in the middle of winter. 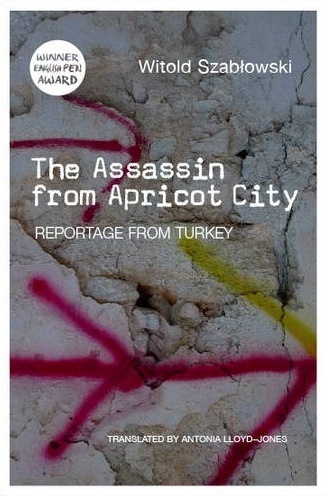 A polyphonic portrait of contemporary Turkey, The Assassin from Apricot City evokes the present-day dreams and hopes of ordinary people, weaving a story from their potent and mesmerising tales. As he travels across this fascinating and beautiful country, Szabłowski heads for the most remote villages and towns to meet young women who have run away from honour killings, wives forced by their husbands into prostitution, a family of immigrants from Africa who dream of a better life, and Kurdish journalists and freedom fighters. The Assassin has won several awards, among others English PEN Award 2013 and the European Parliament Journalism Award 2011. Jagielski, the most famous living Polish war reporter, has been following in the footsteps of Kapuściński, reporting from such conflicts as the wars in Afghanistan, Chechnya, and Uganda. 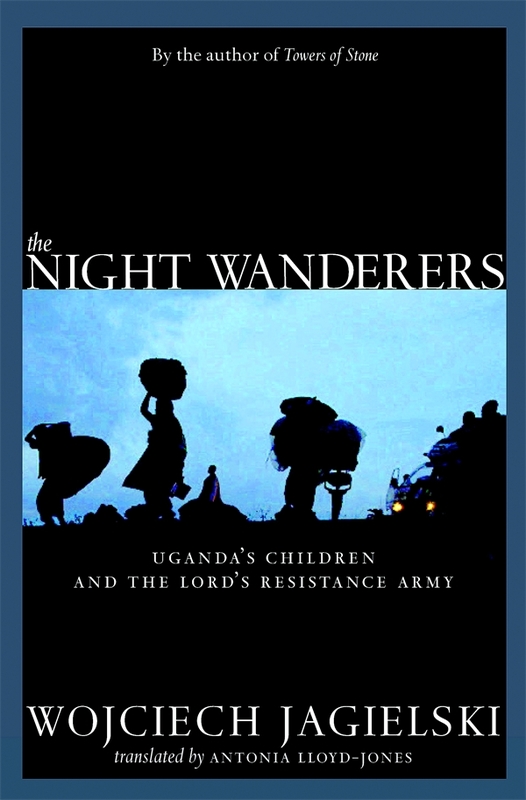 In The Night Wanderers, Jagielski shows the horror of children who have been abducted from their homes and forced to kill their own family members as the soldiers of the Lord’s Resistance Army (LRA) during the conflict in Uganda. Fleeing the aggressive reach of the Lord’s Resistance Army (LRA) and their brutal leader Joseph Kony, on an average night in northern Uganda tens of thousands of children head for the city centres to avoid capture. They find refuge on the floors of aid agencies or in the streets. In recent years, civil society has been almost completely destroyed by the LRA, itself made up almost entirely of kidnapped children. Piecing together what has been broken is proving to be a nearly impossible task. Carrying on the rich tradition of Ryszard Kapuściński, Jagielski digs himself deep into the Ugandan landscape and emerges with a compassionate, incisive, painful, magisterial account of a world that is just starting to pull itself out of the horrors of war. If Jagielski is a full-blooded war reporter, Tochman has been always interested in the aftermath of the conflict. 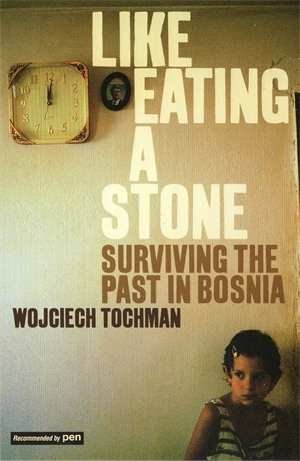 His 2008 book Like Eating Stone is a portrait of human devastation in the wake of the Bosnian Wars, told through the stories of survivors searching for family members or their remains. Here we travel through the ravaged postwar landscape in the company of a few survivors (mostly women) as they visit the scenes of their loss: a hall where victims' clothing is displayed; an underground cave littered with pale jumbles of bones; a camp for homeless refugees; a city now abandoned to the ghosts of painful memories; a funeral service where a family can finally say goodbye. These encounters are snapshots and memorials, a feat of powerful reportage told from the viewpoint of people who have lost nearly everything. With the sensibility of Philip Gourevitch or Ryszard Kapuscinski, Tochman captures a painful moment in history, as an entire community comes to terms with its raw and recent past. The internationally acclaimed bestseller about the Holocaust from the Polish master reporter Hanna Krall. 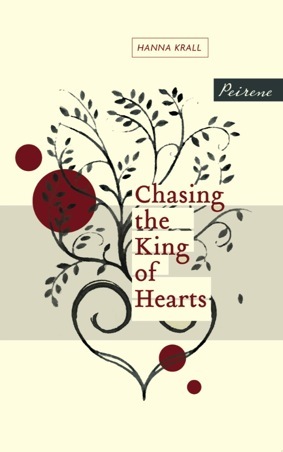 Chasing the King of Hearts is a remarkable true story of love and survival set in the the Warsaw Ghetto 1942. When Izolda’s husband, Shayek, is imprisoned, she sets out to release him. She changes her name, her hair, her religion. Eventually she is captured and deported to Auschwitz. But even there, she trusts that her love will save them both. Kapka Kassabova, who in The Guardian called it a masterpiece, suggested is not only a love story and a Holocaust novel. Its deep and intimate inquiry is the mystery of personality - in other words, spiritual survival in a fateless universe. 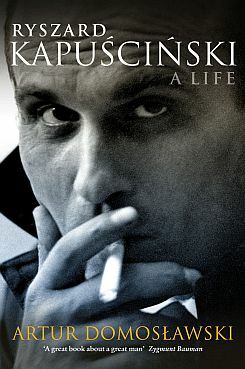 Artur Domosławski’s 2010 biography of Poland’s No. 1 reporter, has become a bestseller and a scandal at home. Domosławski, himself also a reporter (specializing in South America) shone a new light on the personal relationships of the intensely charismatic, but also deeply private, man of many secrets. But at the heart of Domosławski’s investigation is the relationship and tension between journalism and literature, truth and fiction, equally present in his greatest books, like The Emperor, or The Shah of Shahs. 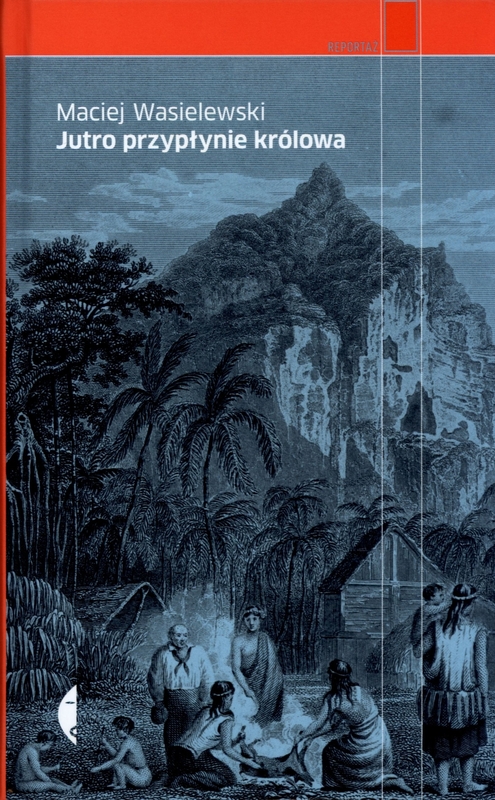 Pitcairn, a tiny island in the Pacific Ocean, some 15 thousand kilometres south-east of London, is inhabited today by a handful of islanders, the descendants of the mutineers from the Bounty (1790). Foreigners, and especially journalists, are not welcome by the isolated and suspicious inhabitants of Pitcairn. Polish reporter Maciej Wasielewski made it to Pitcairn and managed to talk to some of the inhabitants of the island by maintaining that he was an anthropologist interested in sea legends. What he discovered turned out to be much more complicated than he had thought. Originally written by Mikołaj Gliński, July 2014.